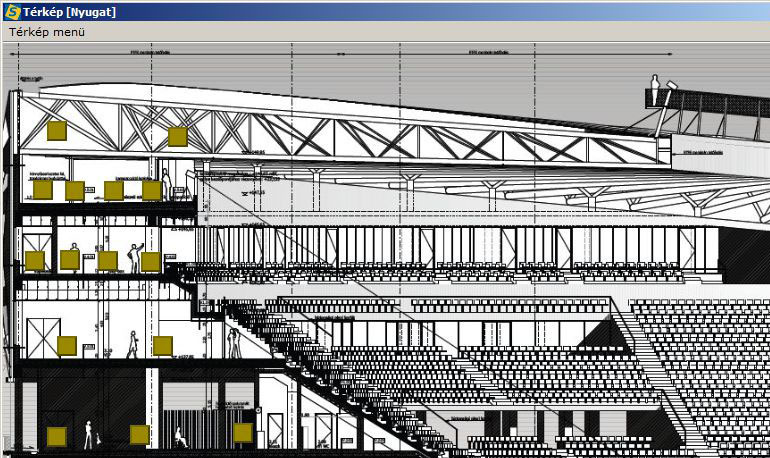 On a site as big as a 20.000 seat stadium fire protection and access control is a must. Security personnel must be fully aware of every movement and fire hazard in every situation. They must be ready to open and close zones instantly in case of emergency. They choose to integrate the LST fire and smoke alarms with the Vanderbilt SPC intrusion detection systems to overlook the site’s security and maintain control of the crowd in any case. The stadium is UEFA-4 grade with conference rooms, event halls, buffets and shops. The complex – and its halls – holds many programmes from football matches to private and public social events. There are more than 1000 datapoints (access conrol, motion sensors and fire detectors) installed on the site and security personnel must overlook them on events and on days when no public are in the stadium. They must be in touch with the maintenance crew, disarming and arming alarm zones during cleaning and servicing. In case of actual emergency the staff have to open and close gates and escape routes or open the way for emergency response teams. Siwenoid runs on the site with multiple client computers in 2 monitors configuration. Siwenoid handles the SPC and fire control panels and arrange datapoints on maps. Siwenoid also complements – but not replaces – the hardware control of the emergency door openings. Siwenoid’s main window (event list) always shows the datapoints with “non-normal” status. Deactivated/disarmed intrusion zones and fire sensors are shown on the screen. The Tree View helps the users to see the hierarchy of all sensors. With two monitor configuration of the client computers Siwenoid allows the security staff to see all datapoints and zones on predefined map images (JPEGs in this case). Multiple client stations are needed for reflecting the difference of security protocols in case of events or regular days. 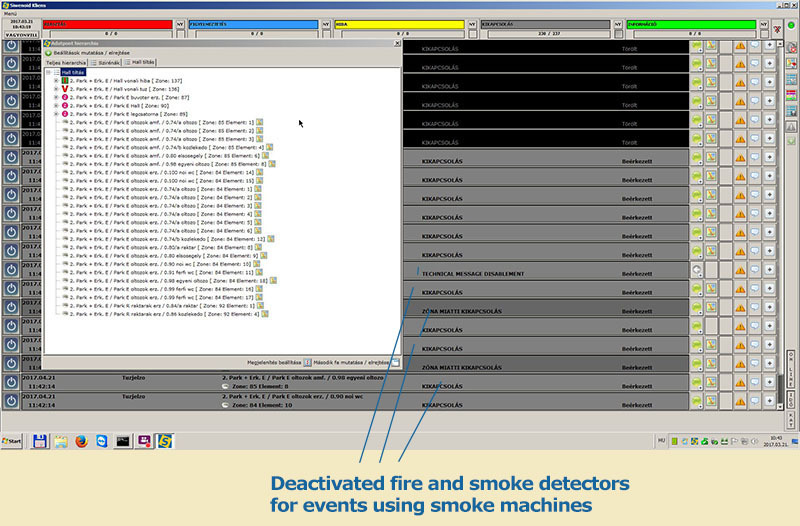 One monitor always shows the most relevant map to survey the site while the main screen shows the alarms and every non-normal events (fault, armed, excluded). An empty event list on main window indicates that every single datapoint is working as intended. 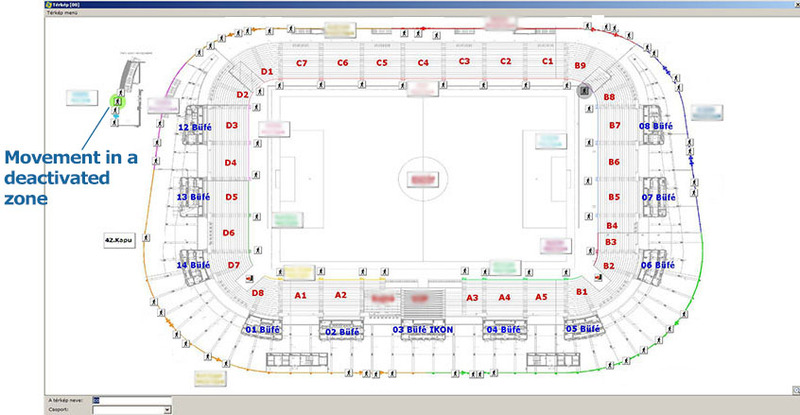 This kind of site is too big for one map to show all datapoints so the blueprint of the stadium were splitted into many sub maps, with all including zones linked to them. In case of an alarm -besides the event list- the icons blinking on the maps for the guards can locate it. Every icon on the “overview” map represents a sub-map with all its datapoints. The maps are a great complement for the event list which shows the intrusions and alarms in a unified vertical view. Even on disarmed zones the guards can see when movements happening in a specific area. Consider it as a silent event without alarm. 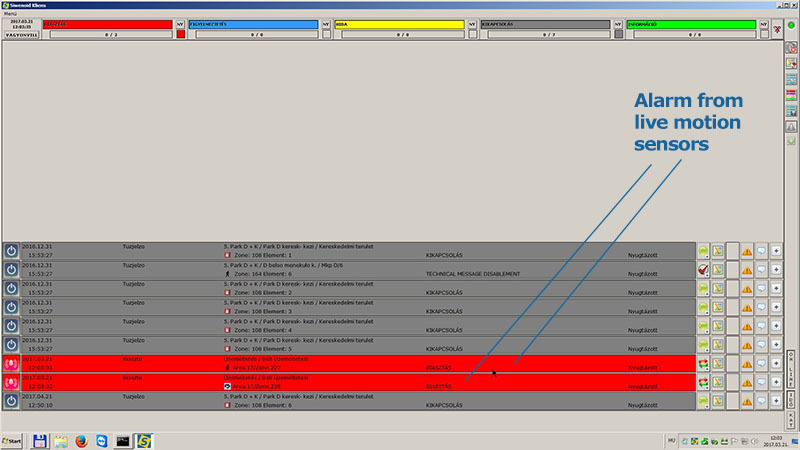 In case of any intrusion Siwenoid instantly gets the messages from the Vanderbilt SPC panels and visualize the alarm not only on the main window but on the associated maps as well. Since the maps are JPEG files we implemented a “menu” style map which arranges all sectors as a “map”. How does it work in live environment? 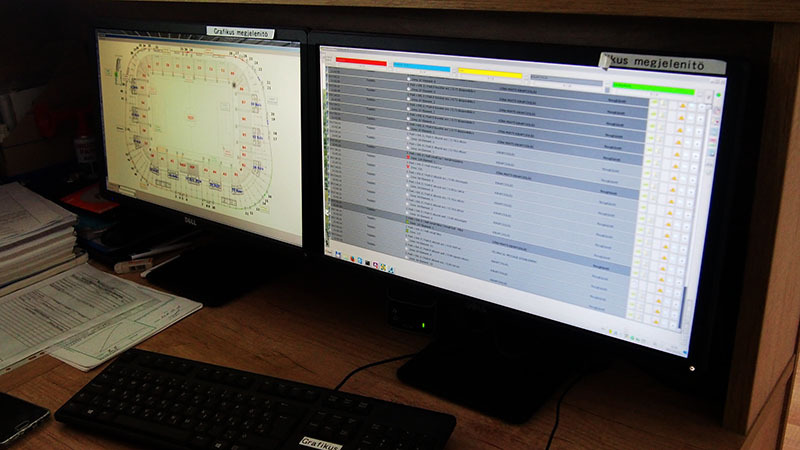 With the integration of Vanderbilt SPC intrusion control and LST fire alarm system the daily operation of a 20.000 seat stadium become much more easier. The maintenance and service staff can do their work while the security personnel disarms alarm zones by one mouse click. 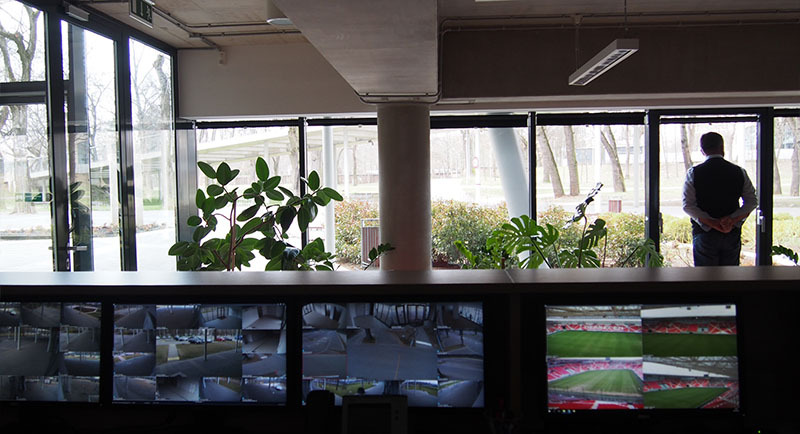 The security system can be adapted to various kind of events and can be easily surveyed from the control rooms. 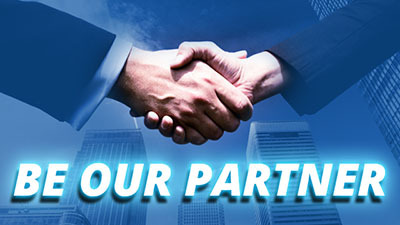 Multiple clients mean that the security system can be monitored from various locations – e.g. the security room on regular days, and from the broadcast room too on event days. On big events the escape routes and the way of the emergency response teams can be managed from one seat. All zones can be seen visually, the staff can see at glance where are movements or fire on the site. Siwenoid made security more integrated and easily manageable.